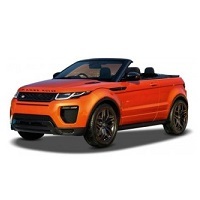 PLEASE NOTE THAT THESE ARE A FULLY TAILOR MADE CAR COVER TO FIT YOUR EVOQUE PERFECTLY. THESE ARE ALSO A SPECIAL ORDER COVER AND WILL TAKE APPROX 2-3 WEEKS TO BE MADE TO ORDER AND DELIVERED TO YOU. WE CANNOT GET THEM MADE ANY QUICKER SO PLEASE ENSURE THAT YOU ARE AWARE OFTHIS FACT BEFORE ORDERING.